You're not in the mood to talk about it right now. All you want is your space and some time. 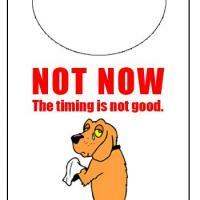 Print this sad door knob hanger and hang it on your door.